The Gourmet Rose I COMBINE SHIPPING WITH ANY OTHER PURCHASES BY TOTAL WEIGHT OF PACKAGE. THANKS! 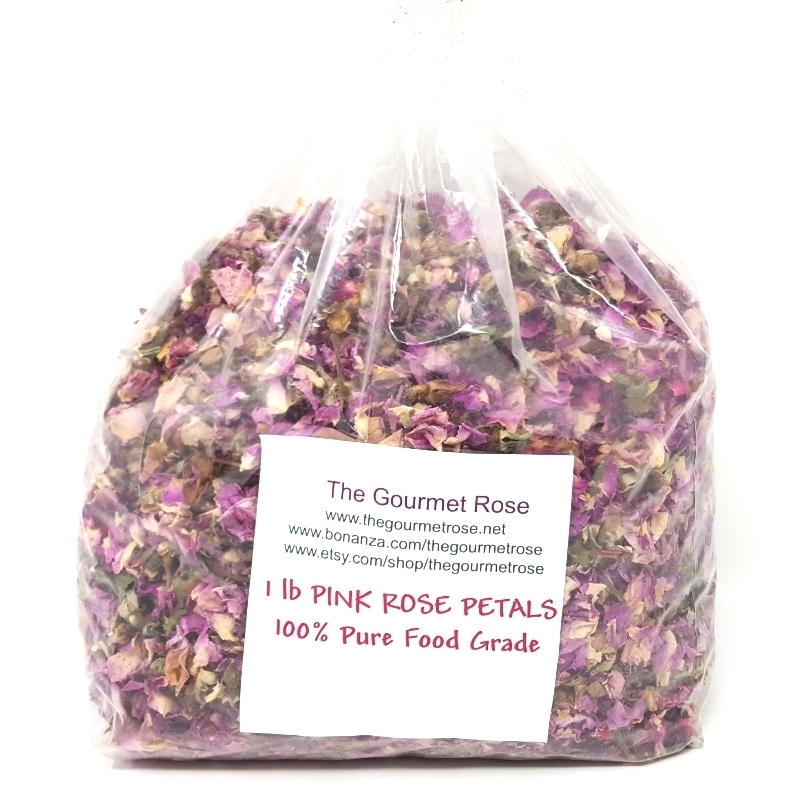 1 lb PINK ROSE PETALS WITH SOME ROSE BUDS EVERY 1 lb = ABOUT 24 cups USE IN HANDMADE SOAPS LOTIONS, SUGAR AND SALT SCRUBS, POTPOURRI, SACHETS, MORE! SAFE FOR SKIN AND OF COURSE ALL NATURAL! Buy as little or as much as you need! See our store's other wonderful soap supplies, handmade skin care items, and mineral makeup.